Fort McMurray has been called a lot of things. Many people think of it as the ‘Wild West of the North’, where the rough and rowdy come to earn big bucks in the oil sands. For those of us that live here, the reality is much more than money and oil. We are festivals and world-class sporting events, beautiful forests and trails. We have some of the best schools, teachers, nurses and emergency responders in the country and a population made up of every race, religion, sexual identity and socio-economic class. Our winters are long and cold, but celebrated with wonderful family events and frequently enhanced by a northern light show. Our summers are long and warm, and packed with activities, concerts, playgrounds and splash parks. We have survived market crashes and natural disasters. We rely on each other when times get hard and are confident that we can do so. We are #fortmcmurraystrong, and have proven it. For all the families and individuals that live here, and the next generation that is born and raised on the muskeg, this is our home. 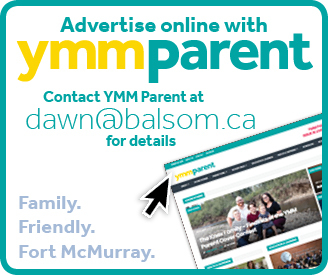 YMM Parent introduces you to six families who live here and love calling it that. 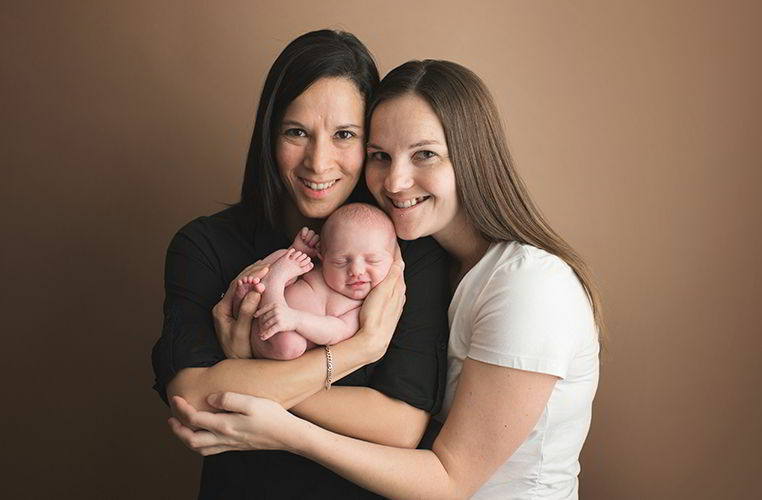 Kristel Rensmaag and her wife, Cristina Rensmaag-Izaguirre (pictured right), are both educators in Fort McMurray. Kristel has worked for the Fort McMurray Public School Board for the past 12 years and is currently the school counselor and one of the physical education teachers at École McTavish. Cristina has worked at Keyano as an instructor in the Business department for the last six years. They live in Thickwood with their daughter, Kenzie, who turned three in August 2018 and their ten-year-old Yorkie, Gracie. In the spring of 2012, after major knee surgery that would keep her off work for six months, Cristina decided it would be a good time to move to Fort McMurray to be with Kristel. As fate would have it, she got a job offer as soon as her disability was up. Soon after, they decided they were ready to settle more permanently into life here and start the next chapter as a family. For the legal ceremony, Cristina surprised Kristel with a performance by Fort McMurray-born, Canadian Recording Artist Amy Hef, who played ‘their’ song “Perfect.” Then just a year later, in 2015, their beautiful daughter was born at the Northern Lights Regional Hospital. One of the reasons they choose to raise their family in Fort McMurray is because of all the opportunities it has for people of any age. They are avid Husky fans and active themselves in numerous sports. Kristel played indoor women’s soccer for her first six to seven years in Fort McMurray. Currently, she plays women’s volleyball and co-ed slo-pitch and coaches Junior High volleyball, badminton and track and field. She is also one of the committee members for Pride YMM. Cristina has been involved in women’s volleyball and slo-pitch (both women’s and co-ed) since she moved to Fort McMurray. Additionally, she sits on several committees at the college and enjoys attending Huskies’ games to support student-athletes. 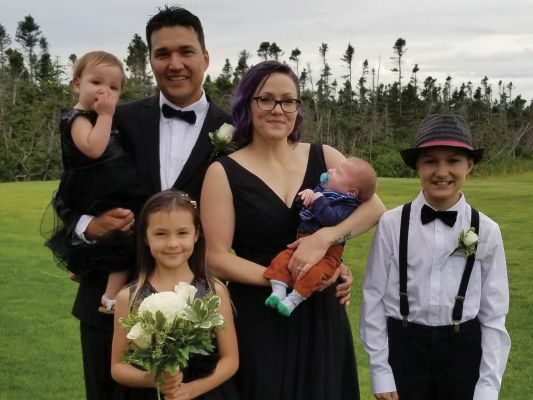 Brandy and her husband BJ, a firefighter/EMT at Suncor, have four children: Noah is eleven, Logan is eight, Ari turned one in May, and baby Cash is just seven weeks old. Prior to June of 2018, they had split their time between two homes – one in Abasand and one in Fort McKay. Now they are living in their Abasand home full-time. The family has lived in Fort McKay since before the kids were born, and BJ’s family dates far back into the history of the community. His mother is Chipewyan. After he graduated from Father Mercredi High School, completed his firefighter and EMT program in Edmonton, he came back to Fort McMurray and joined Suncor under the Aboriginal Recruitment Opportunity. In 2009, BJ received the Governor General’s Medal of Bravery for an incident he responded to with his crew. These days, they spend most of their time between school and sports activities – mostly hockey and baseball. BJ also runs the local Power Edge Pro training camp, which is an on-ice player development system that is utilized by players from grassroots hockey all the way up to the NHL. He was also the first Aboriginal Level 3 Certified Instructor in Canada. Brandy grew up in Abasand and most of her family still lives within Wood Buffalo. 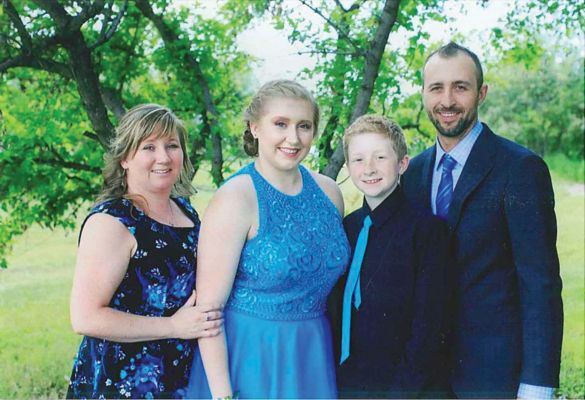 Her mother and stepfather live in Fort McKay, her two brothers live in Fort McMurray with their families, and her father lives just a five-hour drive away in Leduc. 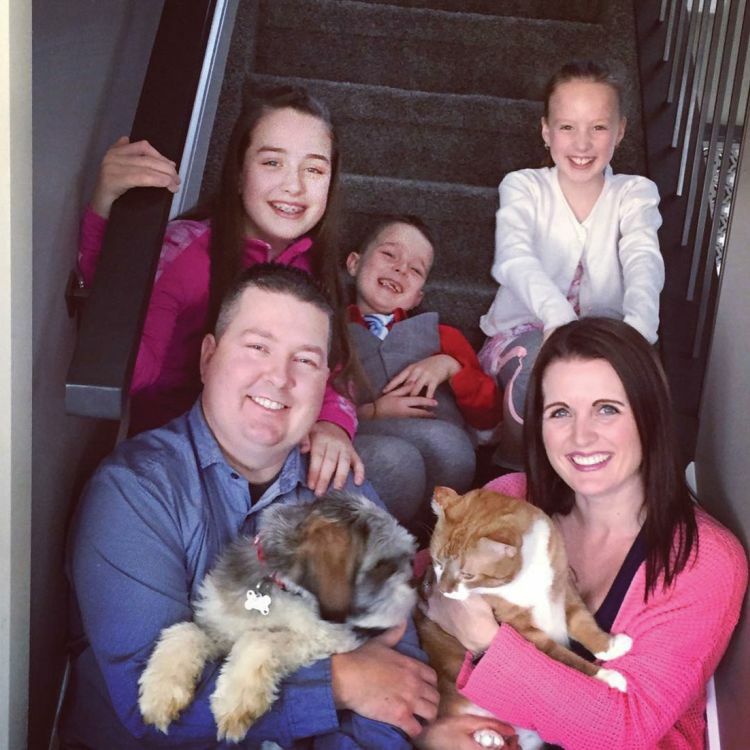 John and Mary Louise McCormick live in Abasand with their three children; twelve-year-old Hailey, nine-year-old Kadence and six-year-old Jayden, along with their family cat Simba and dog Maggie. John is an Outage Coordinator at Syncrude and Mary Louise is a math support teacher at Father Beauregard Elementary. Like many other residents from the East Coast, they chose to move here with hopes of finding good-paying jobs and make enough money to eventually return to their roots in Cape Breton. However, after 16 years of making friends and establishing successful careers, they both agree that this is now their home. They attribute their reason for staying to all of the opportunities – the school system, an abundance of extracurricular activities, indoor/outdoor playgrounds and recreation facilities. This summer their youngest daughter attended a dance camp at MacDonald Island Dance, which was led by a guest instructor that travelled here from New Zealand along with eight of her dancers. A typical day in the McCormick household involves commuting to work and school, after-school activities, and squeezing in any community events that may be taking place. One of the events the family looks forward to every year is the Halloween events put on by the Fort McMurray Boys and Girls Club, which include a haunted house and Junior Boo. They have numerous experiences and examples of times they’ve had to rely on their ‘Fort Mac Family’ and the community for support, but one in particular stands out. Dane is a minister at All Saints Anglican Church in downtown Fort McMurray. 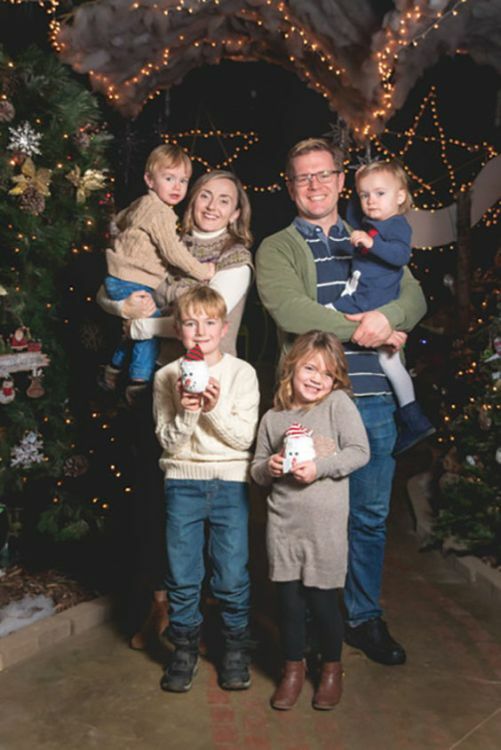 He and his wife Juanita, who works in human resources at Suncor, have four children; Anton is eight, Clara is six, and the twins Leo and Maggie are three. Life is quite busy in their household with two working parents, school, activities, and church. Both with Alberta roots, Dane grew up in Calgary and Juanita in Grand Prairie. They were living in Toronto prior to their move to Fort McMurray. They’ve been here almost five years now and have no plans of leaving anytime soon. Their kids are involved in basketball, baseball, gymnastics, soccer, swimming and piano lessons. They are also members of the Ptarmigan Nordic Ski Club. However, it’s their church family that keeps them grounded in their new home. They’ve also experienced how this community rallies around each other in tough times to offer support, and how a negative can quickly become a blessing. One of the biggest challenges we face living far north is how difficult life can become when a family member needs specialized medical attention, and the nearest hospital to offer the treatment is almost a five-hour drive away. 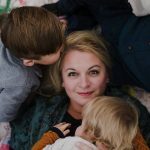 “I had some medical complications in my pregnancy with our twins that required me to be in the hospital in Edmonton for two weeks prior to the birth, and one week after. It was tough trying to manage that with two little ones at home,” said Juanita. Members from both Anglican churches in Fort McMurray showed up with meals almost daily for a month. It fed their family but also gave them an opportunity to show off their babies to friends without having to leave the house. “It was a trying time in many ways, yet we felt so cared for,” she said. At first glance, Gina Power and her little millionaire family of one boy and one girl look like they could be straight from the pages of a celebrity magazine. However, this family had its share of ups and downs. They choose not to let it define them. “We moved to Fort McMurray from Brooks, Alberta when Mackenzie was seven and Matthew was one,” said Gina Power. Even though they are no longer married, the pair has created what many would consider a successful co-parenting relationship and tries to incorporate some of the same family traditions and values whether the kids are at mom’s or dad’s house. She said if she had one piece of advice for anyone moving to Fort McMurray with their family it’s to not be scared of the housing prices because it all evens itself out. Wages are still higher here than a lot of other cities, and that offsets the cost of housing. She describes Fort McMurray as the kind of community where most people are from somewhere else and living far from family and support. So, residents are forced to build these other support systems in their neighbours and community groups. “It’s kind of cool how this community can bring people together. And it’s nice to see this next generation of kids who were born in McMurray keeping that community spirit alive, even in times where the economy and oil prices and other factors are so uncertain,” said Gina. In February 2007, Nargis Zaid and her husband, Zaid Sulaiman, immigrated to Canada from Karachi, Pakistan with their two then-young children Hussain and Hamna. Two years later, they welcomed their youngest daughter, Haniyah. Although it was not easy to leave their family and traditional lifestyle behind, they quickly became aware of the plentiful job opportunities this community had to offer and how welcoming and peaceful it was. They also became very active community members in their new hometown. Her business was the first to offer traditional Pakistani wear in Fort McMurray. 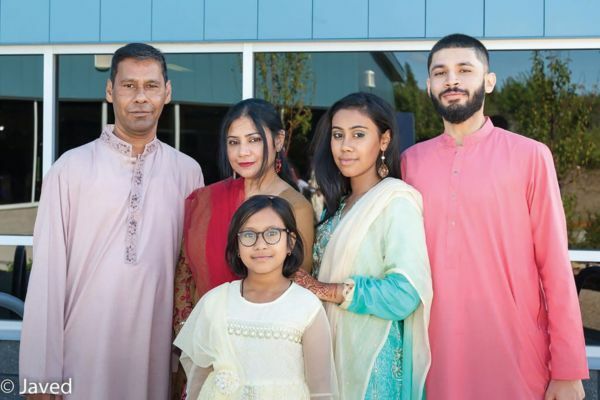 Although she closed her clothing business in 2010, it was through her interactions with her customers that she recognized a need in Fort McMurray for a formal Pakistani group. So, she co-founded the Pakistan Canada Association, also known as the PCA of Fort McMurray and currently serves as Vice President of the women’s wing in the association. She was also a member of the Municipality’s Regional Advisory Committee on Inclusion, Diversity and Equality (RACIDE) from 2012-2014. “I am heavily involved in coordinating events for the PCA, which includes the annual celebration of the Pakistan Independence Day, volunteer appreciation days, the Fun Gala for kids and our Eid Parties,” said Nargis. Their kids have certainly followed in their footsteps and are always with them at community events, helping out with everything from setup to cleanup. Hussain was part of MACOY and student council at Holy Trinity High School. In 2013, he was selected to be MLA for a day in the legislature. Hamna has volunteered with 91.1 The Bridge at community events and has a passion for poetry. Just this year, one of her poems, “There’s So Much More to Him”, was selected to be published in the Words of Motion by Wood Buffalo Regional Library. Haniyah, their youngest, is too young to be involved as a volunteer on her own, but she loves being at all the events. They are also a very physically active family. All three kids are passionate about basketball, and Hamna is on her school team. They utilize the facilities at the YMCA and the HUB a lot. Her son graduated from Holy Trinity and is currently exploring university programs outside of Fort McMurray. Nargis wishes there were more university options closer to home, so he wouldn’t have to leave home to pursue his degree. Her eldest daughter is still at Holy Trinity and her youngest attends Christina Gordon Elementary School. She said that while they don’t experience many challenges integrating into the community now, things were much harder when they first moved here. The community was not as developed and, like any immigrated family, they faced language barriers and challenges with starting a new life in a foreign place, making new friends, finding affordable housing, getting a job and adopting some of the Canadian ways of living. “What I love about Wood Buffalo is how supportive, family-friendly, happy and accepting most people are of new immigrants,” said Nargis. 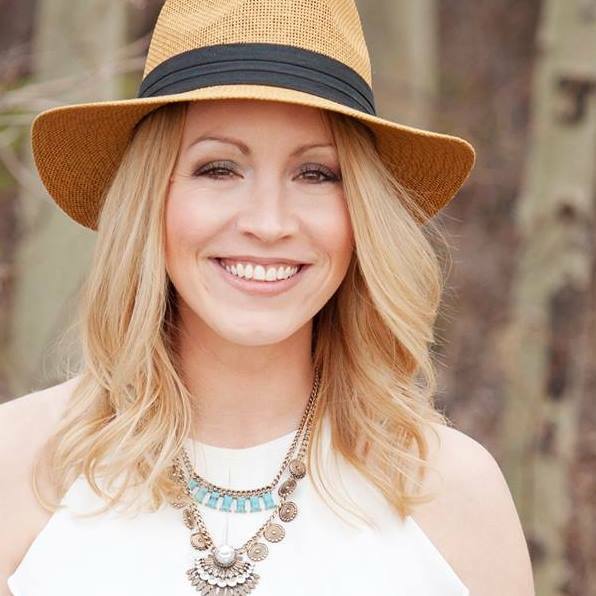 Newfoundland-born Christina MacKay is the manager of marketing and communications at Wood Buffalo Housing. With MacKay and her husband, who is an EMT/firefighter at Suncor Energy, both full-time working parents; she enjoys spending her downtime writing, gardening, crafting and playing outside with her three boys; six-year-old Chase, four-year-old Finlay and one-year-old Levi.